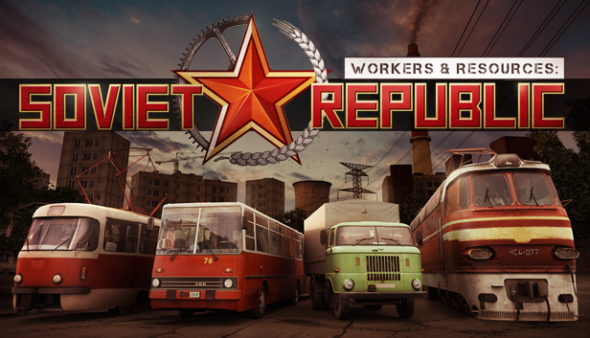 The independent games development studio 3DIVISION has released their title Workers & Resources: Soviet Republic on PC via Steam today as an Early Access game. It will most likely remain an Early Access game for 12 to 24 months, depending on how the implementations of new vehicles, buildings, and gameplay mechanics are being received and if there are any troubling issues that need to be addressed first. Workers & Resources: Soviet Republic is a real-time soviet-themed city building tycoon, set in a fantasy communist country somewhere in Eastern Europe. It is your goal as the player, and somewhat of a god-like figure in this game, to construct your own republic by transforming a poor country into a rich, industrial superpower. You do this by managing all aspects of your own republic with planned economies such as mining resources, manufacturing goods, construction, investments and of course, citizens. Build the infrastructure and manage its traffic, including roads, railways, sidewalks, conveyors, wiring, and pipelines. Wisely place and connect factories, houses, and warehouses, and make the most efficient connections. Sell and purchase resources and goods from western countries or other Soviet countries to get dollars or rubles and buy the products or resources you need… or invest in new infrastructure or buildings. Enjoy authentic soviet buildings and vehicles, as well as realistic landscapes of the ’60s to the ’90s. Play the way you want! You can focus on getting natural resources or products and trade them for money, or you can build a self-sufficient republic, or you can just use the easy sandbox mode with unlimited money/resources and just enjoy building something live. Prices of resources on the global market are changing over time as you play –one day you can sell or purchase steel for a $100 per ton, but in a few months the cost can rise to $200 or decrease to $50. The price of everything is connected to the cost of work and resources.